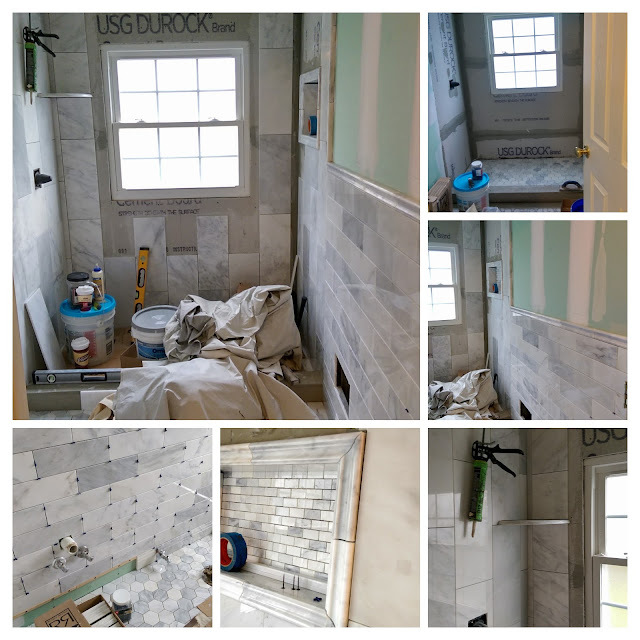 The guys had the tedious job of cutting and mounting marble tiles and are about 90% complete at the end of week two, mainly due to running out of 8"x20" pieces. We've picked out the paint, Sherwin-Williams Balmy Blue and the floor and wall grouts, and hope to this wrapped up in the next week or so. It will be good to have the toilet again!